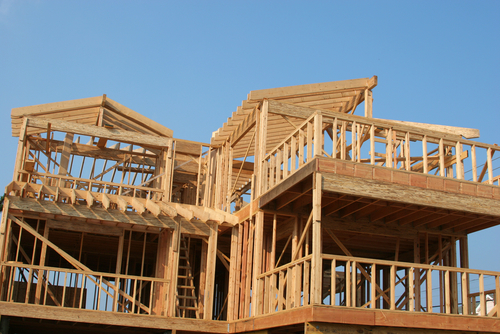 Building a new home from the ground up is exciting. You get to make all the choices when buying a new home, instead of settling for the previous homeowners choices. The many options available can often be overwhelming and more expensive than a home buyer considered. When you see a home builder sign advertising from the “low $140,’s” or whatever their low price point is, you need to know this is the starting point. Generally, it is the smallest floor plan, with the lowest cost flooring and fixtures. The basic model with many home builders will have laminate countertops, vinyl flooring and chrome fixtures. Anything more than basic is an upgrade with most production home builders. There is more than cosmetic upgrades that can add to the final cost of a home, though. Lot - Most neighborhoods will include a standard size lot. Homes with a larger lot, a wooded lot or on a cul-de-sac will cost more. The price will depend on the neighborhood and location, but generally costs $5000.00 - $15,000.00 or more. Basement - A basement option is popular for home buyers in Indianapolis. The price is hefty, ranging from approximately $8,000 for a half basement to almost $20,000 for a finished full basement with 9 ft. ceilings on a 2000 square foot floor plan. Plan to spend more for a walkout or daylight basement. Exterior - The more brick you put on a home, the more it costs. Most recently, the homes I’ve looked at with clients were $11,000 for a full brick wrap. Three Car Garage w/side load- Another popular choice includes a price tag of about $9,000. - $12,000. to change from a standard two car front load. Elevation - Elevation refers to the exterior design. Most new homes have 3 different elevations. One elevation of a floor plan may have a covered front porch with railing, while another doesn’t. I’ve seen these prices range from $2000.00 to over $9000.00. It’s not my intent to rain on your happiness. I just believe an informed buyer is better prepared to make good decisions for themselves. *costs for upgrades may vary by home builder and all options may not be available in all new homes subdivisions. Paula your post was timely when I read it today. Many (most) home builders all have a super low base price to get buyers in the door but here in Omaha what the buyers aren't aware of is when the builder requires the buyer to register they waive there right for buyer's representation. Buyer's sign the document because all they want to do is see the model homes. Also, they will advertise preferred lenders and waive closing costs which isn't always the best deal. Having buyer representation when buying new is really important to protect the client. Is that how it works in your market? A very informative blog Paula. There are so many things to consider when buying a house and you've written a reliable article for homebuyers. Best Regards!